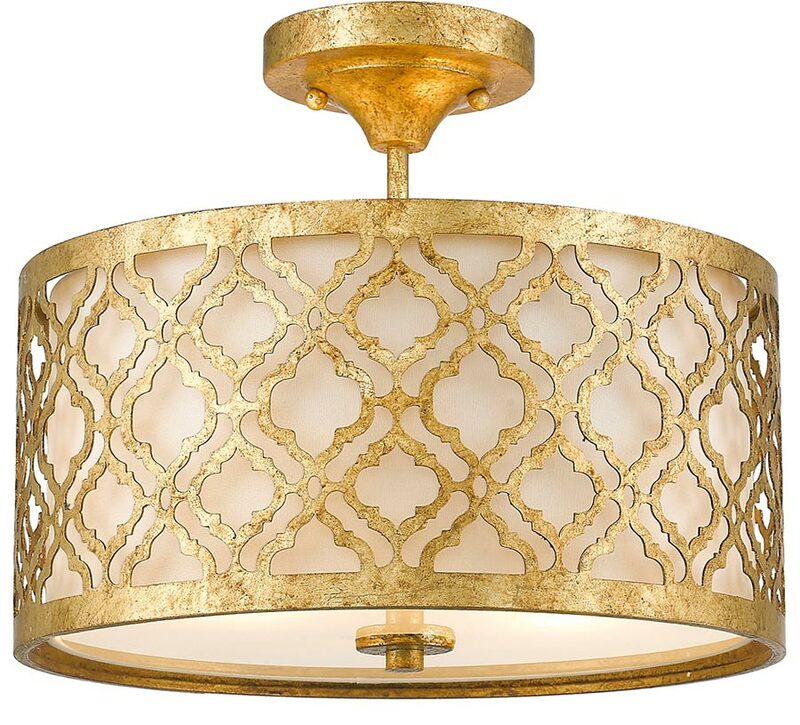 This Gilded Nola Arabella 2 light duo mount medium pendant in distressed gold finish features New Orleans style and can also be mounted as a semi flush ceiling light as shown. Boasting a circular ceiling mount, height adjustable rod suspension and 41cm drum shade constructed from distressed gold precision cut metal, with inner cream fabric shade that softens the light beautifully. The frame features a geometric pattern and is fitted with a lower glass diffuser for a warm, mellow light. 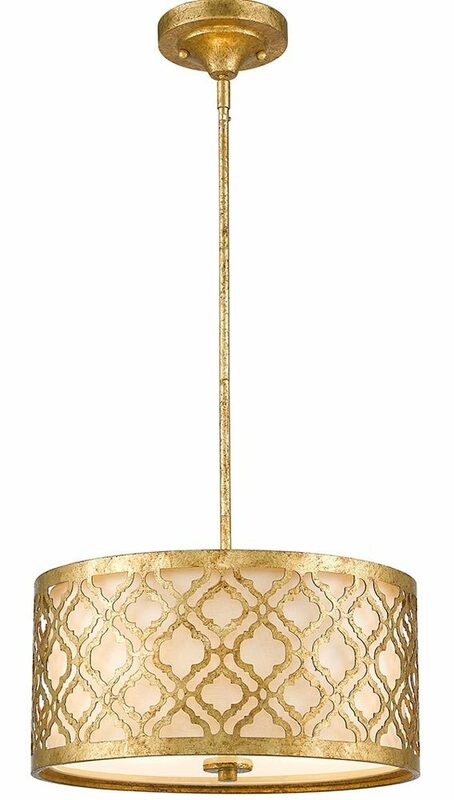 This sophisticated light is designed in the USA by Gilded Nola. 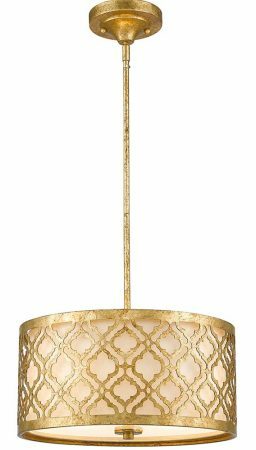 They are inspired by the decorative elements of New Orleans and are famous for their abundance of unique styles such as the Gilded Nola Arabella 2 light duo mount medium pendant in distressed gold finish you see here.